Lake effect snow added to the snow we had. The sound of chain saws running in the afternoon leads me to believe that cleanup is happening somewhere on the block south of me. The Japanese Maple looks a little less bent over today but there is still a good deal of weigh on branches. Luckily there is very little wind. 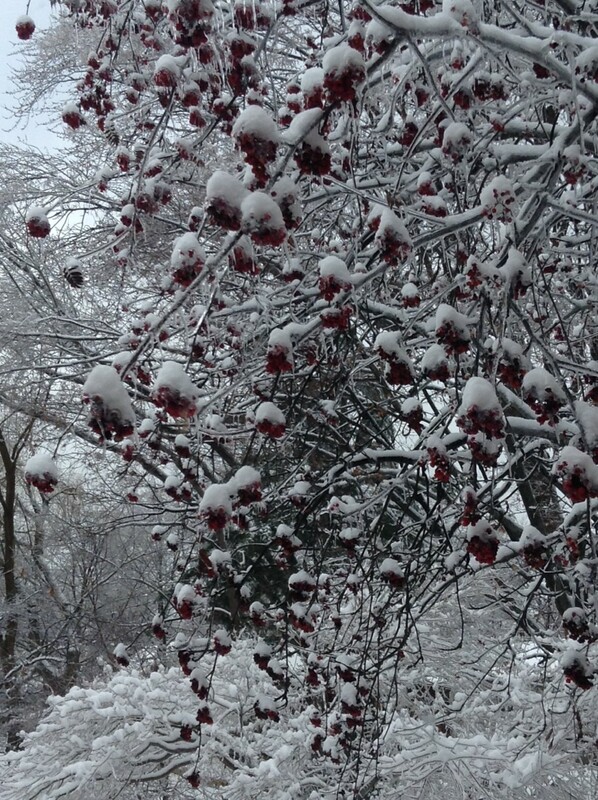 The Rowan tree under ice and snow.